TH E M R EP O RT | 59 O R I G I NAT I O N S E R V I C I N G DATA G O V E R N M E N T S E C O N DA R Y M A R K E T THE LATEST DATA Not a typical name. Not a typical home loan company. ©2018 Nationstar Mortgage LLC, d/b/a Mr. Cooper. Mr. Cooper is a registered service mark of Nationstar Mortgage LLC. 8950 Cypress Waters Blvd., Dallas, Texas 75019. 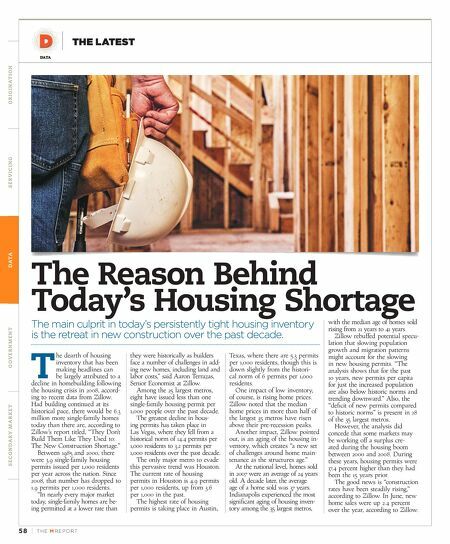 NMLS #2119 Sure, our name's a little out of the norm. But so are we. 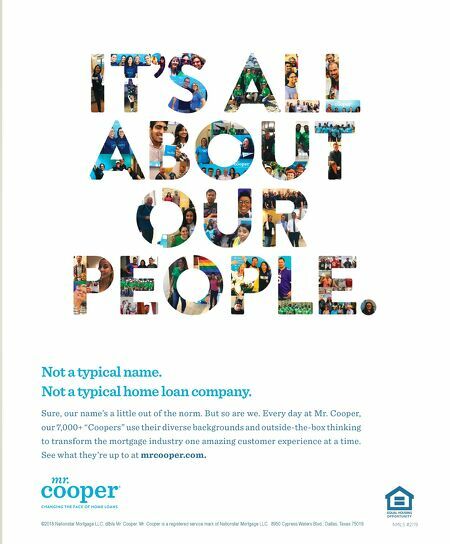 Every day at Mr. Cooper, our 7,000+ "Coopers" use their diverse backgrounds and outside-the-box thinking to transform the mortgage industry one amazing customer experience at a time. See what they 're up to at mrcooper.com.